Speaking at this year’s World Economic Forum in Davos, John Cryan (the co-CEO of Deutsche Bank AG), said that cash could become history “within a decade”, going on to note that it is terribly inefficient. Mr. Cryan also focused on the way in which cash supports the underground economy, saying that cash should be dematerialised and that governments should be interested in this process because it would make transitions more traceable and would help to combat crime. I agree. Hence it seems to reasonable to ask, and were I to have been present in Davos I would certainly have asked, why it is that central banks keep pumping the stuff out? On Deutsche Bank’s home turf, for example, cash is already undermining the law-abiding majority. The Bundesbank estimate that only 10-15% of the cash in Germany is used to support the needs of commerce and this tallies with the Bank of England’s estimates of the cash used for what they call “transactional purposes”. So in two of the world’s largest economies, at most a quarter of the cash out there is actually used as a medium of exchange. And this fraction is, as you might imagine, steadily falling as cash is replaced at POS and, increasingly, in inter-personal transactions. If we look around the world, we can see that some countries are on the verge of cashlessness, others are a long way from it. In Europe, we should make it a goal! We must aim to be effectively cashless in the timescale he discusses. By cashless, incidentally, I do not mean that every single banknote and every single coin has been ritually cursed and then hurled into Mount Doom. By cashlessness, I mean that cash has ceased to be relevant to monetary policy, become irrelevant to most individuals and vanished from most businesses. As we look to the future, we can begin to ask, quite reasonably, whether developments in digital payment technology and changes in payments and banking regulation will bring us to the point of this kind of cashlessness within, say, a generation (as Mr. Cryan and I expect)? The answer is probably yes, but that doesn’t mean we can’t take action to make sure! Assuming there still is a European Union in a decade then there will still be Euro banknotes and there will still be Euro coins. But they won’t matter for business or for the economy. Without policy changes, however, this will leave us with a cashlessness that is too conservative to reap the benefits of a truly cashless economy, too disorganised to reign in the criminal exploitation of cash and too wedded to the symbolism of physical money to switch it off (just as we switched off analogue TV not that long ago). That “rump cash” (and I exclude various categories of post-functional cash from this definition) should be actively managed out of existence. Europe needs politicians to take this seriously and put forward concrete and reasonable plans to achieve effective cashlessness. This is hardly a new thought! Returning to Davos, two decades ago at the 1997 World Economic Forum there was a discussion about the electronic cash that attempted to cover all of the relevant topics and I think it provides a useful starting point. I’ve updated that list of issues and brought them together in a structure that I think rather helpfully identifies four key policy areas for European governments to focus on. Identifying practical actions to take in each of these policy areas gives us a “manifesto for cashlessness” that policy makers can add to their agendas across the continent. There are immediate and significant benefits to countries, companies and citizens. Governments are responsible for managing the money supply, but they presumably want to the system to deliver an efficient money supply for the modern age. But right now, European money is really, really inefficient. Jack Dorsey of Twitter and Square fame once tweeted that “In general, the shift toward a cashless society appears to improve economic welfare.” He is, of course, correct and we must “nudge” consumers toward this future. The European Central Bank has published a detailed analysis of the costs of retail payments instruments (Occasional Paper no. 137, September 2012) with the participation of 13 national central banks in the European System of Central Banks (ESCB). It showed that the costs to society of providing retail payments are substantial, amounting to almost 1% of GDP for the sample of participating EU countries. Half of the social costs are incurred by banks and infrastructures, while the other half of all costs are incurred by retailers. Dr Laura Rinaldi from the Centre for Economic Studies at Leuven University, carried out some research which confirmed that customers see cash as being “almost free” despite the costs. She concluded that proper cost-based pricing would shift debit cards from being 4% of retail transactions in Europe to a quarter, a change that would add 19 basis points to the European economy. Manifesto Commitment 1: we will halve the total social cost of the payment system in the next decade, starting by allowing retailers to surcharge for all forms of payment including cash, except for “card present / cardholder present” debit. The high-value notes account for more than half the outstanding currency in many OECD nations, are mainly held for stashing, hoarding and exporting. The non-utility of these notes was highlighted in a 2011 ECB survey among households and companies that estimated that only around one-third of the €500 notes in circulation were used for transaction purposes and that the remainder were hoarded as store-of-value in the euro area or held abroad. Recent figures from the Bank of England show a similar pattern, with about a quarter of the cash in circulation used for transactions. High-value notes no longer support trade and industry. 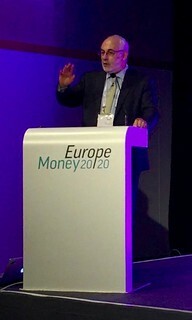 Dr. Rinaldi’s research mentioned above further concluded that shifting European economy away from cash would grow it an additional nine basis points because moving to electronic money would shrink the cash-based “shadow economy”. The European Commission has already said that it wants to investigate the connection between cash (specifically €500 notes) and terrorism. Cash, however, is desirable for all sorts of criminal purposes, not merely terrorism. Now, clearly, removing cash won’t end crime. The reason to make electronic money a firm policy goal is to raise the cost of criminal activity. 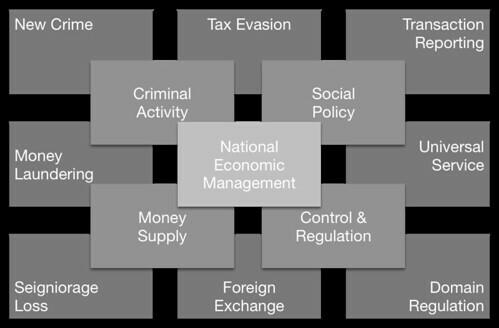 Whether that crime is drug dealing or money laundering, bribing politicians or evading tax, cash makes it easy and cost-effective. Manifesto Commitment 2: We will remove €100, €200 and €500 notes from circulation within five years and €50 (and £50) notes from circulation in a decade. UK research indicates that families who use cash are around hundreds of pounds per annum worse off than families who don’t. The reasons are multiple: the cost of cash acquisition, the inability to pay utilities through direct debit, exclusion from online deals and a variety of losses. There’s something unfair about this. People who choose to exist in a cash economy to avoid taxes (e.g., gangsters) are cross-subsidised by the rest of us. People who have no choice but to exist in a cash economy are not cross-subsidised at all. Those Europeans trapped in the cash economy are the ones who are most vulnerable to theft and extortion, most likely to lose their hard-earned notes and coins or have them destroyed by monetary policies, paying the highest transaction costs, lacking credit ratings or references and (in an example I once heard from Elizabeth Berthe of Grameen at the Consult Hyperion Forum back in 2011) most likely to have their life savings eaten by rats. So what should be done? Well, the answer is clear. Make electronic payment accounts, capable of supporting account-to-account push payments available to every European citizen at no cost. Notice that I do not say “bank accounts”. Bank accounts are an expensive route to inclusion. Now, financial exclusion is often associated with an inability to provide a proof of identity or address (e.g. immigrants, homeless people), unemployment or financial distress in general and low educational attainment. Electronic money itself does not attack any of these issues hence we must have relaxed KYC for low-maximum balance accounts. Manifesto Commitment 3: We will regulate for an on-demand electronic payment account capable of holding a maximum of €1,000 without further KYC other than unique recognition (e.g., a mobile phone number). With electronic payment accounts available to all and no necessity for cash in day-to-day transactions, we must be sensitive to privacy of transactions. Regulatory authorities ought to be able to monitor economic activity and the advantages of knowing in near real time what is happening in the real economy ought to be substantial for national economic management. However, there is a world of difference between the Minister of Finance knowing that people spent €1,548,399 in restaurants yesterday and knowing that I spent $8.47 on a burrito in Chipotle. Most of the concerns that reasonable people have about moving away from cash are to do with privacy and security. Since we will have to have security in order to have privacy, we should set our goals around privacy as the central narrative to address these concerns. We have all of the technology that we need to deliver payment systems with the appropriate degree of pseudonymity for a democratic and accountable society. Manifesto Commitment 4: We will create a privacy-enhancing infrastructure for transactions and for the sharing of transaction data, beginning with a law preventing payment cards from displaying the cardholder name either physically or electronically. I hope that you will all agree that these deliver a sensible and practical set of steps to improve the lives of European citizens and I look forward to your comments! That’s ok, if people can own legal tender in electronic form (e.g. bank account at the central bank). Otherwise it seems like a very strange idea. People couldn’t own legal tender anymore. You force us to cope with bank IOUs and credit risk. Anyway, war on cash will help anonymous crypto currencies like Monero and Zerocash. The present level of communications, payment technology, electronically certified documents and IDs makes underground resistance impossible. Is this not what we want to fight terrorism? Yes, it is. But we advance further in this direction under an assumption that the governments are always right and behave legally, within their mandates. This may not be always true. We know examples. In the world of 100% electronic IDs and payments, we must establish equally powerful means of electronic democracy that balances the power of governments and central banks. This is more complex than P2P but must be done. Otherwise we find ourselves in an irreversible USSR one day. Pingback: #NoCashDay, Cashlessness Manifesto, Torino, Danimarca e Tesla | ePayment Unite! The line between a manifesto and a creed is a grey one to be sure. Your passion for a cashless future could be applied to either. Having spent the week around Money 20/20 Europe in Scandinavia it appears your manifesto is already being adopted by that segment of the proletariat. Much of Europe will likely follow suit. The uppity colonists on the western shore of the Atlantic I do not believe will join this commune, at least not in total. Your Manifesto Commitment #4 will need robust and unimpeachable privacy controls indeed. Yes, certainly those controls are technically possible – it is the political, nay, the commercial will to implement a cost center that I question. They would be a drain not just in implementation costs but in opportunity costs to the data aggregators and their legion of customers relying on that pattern-of-life data to make decisions. They will not go quietly into the night.